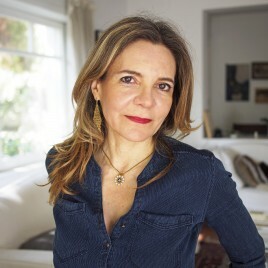 (born in 1966) – Greek journalist, Romance studies expert and prose writer, author of children’s books. She studied French Studies in Athens and journalism in Paris. For many years she published articles in the Kathimerini magazine (1990-2008). She made her debut in 1994 with a collection of short stories titled Na zewnątrz życie jest kolorowe. In 2016, her novel Dlaczego zabiłam moją najlepszą przyjaciółkę was published in Polish.